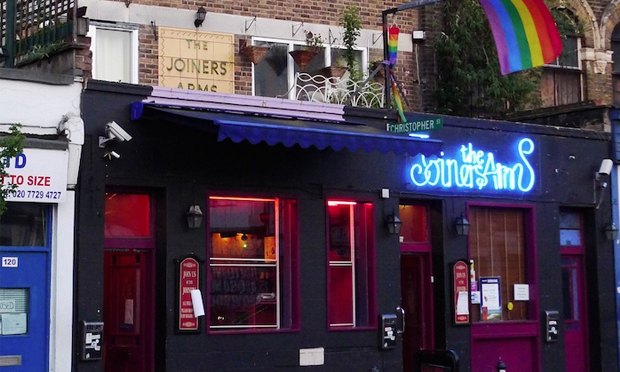 In its heyday, the now-closed Joiners Arms on Hackney Road acted as faithful pub, singalong late-night party hub, and a general base for the LGBTQI+ populace in East London. It is this diverse community that is to be consulted on the future of the derelict space, as two public meetings were announced this week by campaign group Friends of the Joiners Arms (FOTJA). Both meetings will be held at Amhurst Terrace venue Hackney Showroom, one from 3pm to 5pm on Saturday 10 March, and a weeknight one on Wednesday 14 March from 7pm to 9pm. Attendees will be encouraged to let the ideas flow, with the help of breakout sessions, workshops and guest speakers. Tickets are free, and available online at www.bitly.com/FOTJA. These events follow last October’s news that the building, previously earmarked for demolition until a planning application for office space and luxury flats was rejected by Tower Hamlets Council, will instead be leased out for at least 25 years to facilitate a like-for-like replacement. “FOTJA is a testament to the power we have as queers unified against a common enemy: in a fight reminiscent of David vs. Goliath, the developers expected that they would be able to demolish the Joiners Arms and redevelop the site with one solitary goal – profit. “That these plans did not succeed and that Tower Hamlets supported our protests in such groundbreaking fashion demonstrates our collective strength in fighting gentrification. Help to achieve this will be provided not only by the £130,000 towards fit-out costs of the venue – committed after the FOTJA campaign by the developers who own the site – but also by a new Department for Communities and Local Government-backed scheme called ‘More Than A Pub’. This £3.62 million programme aims to support community ownership of pubs in England, and is also aided by independent trust Power To Change, the Campaign for Real Ale (CAMRA) and more. According to research by UCL’s Urban Lab, the number of LGBTQI+ venues in London has fallen by 58% since 2006. “As excited as we were to have won planning protections…this victory only marked a successful end of ‘phase I’ – not the end of our journey. 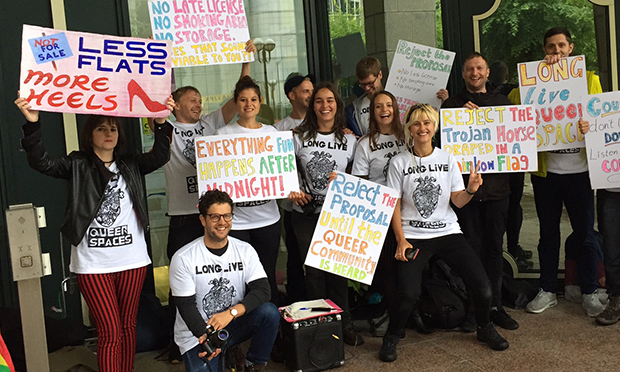 “The doors of our beloved Joiners remain as closed as they first were in January 2015, and we are still without a vital queer space. Now we enter ‘phase II’: creating a radical organisation and working towards opening the doors of London’s first community-run LGBTQI+ bar.